These days, any company who’s serious about its online presence knows that it needs an app in order to make it and this is especially true about travel companies. As the saying goes, if you need it, there’s an app for that – from language translation apps to international messaging apps. Some of the biggest flight and tourism companies in the world, such as United Airlines and Booking.com have got apps, but smaller competitors have them too. You can run through every aspect of your trip with a dedicated app, from planning and booking to exploring, photographing, and socializing. Apps can call you a cab, translate for you, find a nearby WiFi hotspot or help you get in touch with your family and friends back home. This industry segment is on the rise and there’s little doubt about it. According to the latest data in the field, some 17,000 travel apps were released between 2011 and 2013 alone. A market study on high-end consumers found that travel apps are the third most downloaded category, after weather and news. And it’s not just the well-to-do that use apps when traveling these days, either. A PhoCusWright survey showed that almost 25 per cent of nearly 2,000 travelers had used an app or mobile website to buy something travel related. Hotel bookings came in first, followed by car rentals and airport transfer shuttle tickets. Industry experts are also looking at the quantity and quality of these apps, though. They acknowledge that many of them are poor quality and there’s plenty of room for development (pun intended). They advise developers to focus on “the granularity of travel”, such as navigation, itinerary organization, weather forecasts, currency exchange and time zones. 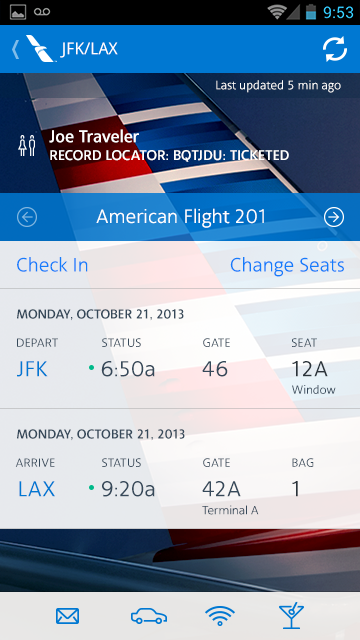 Apps are essentially transforming travel as we know it, by rendering it far more efficient. Google Translate, top rank among language translation apps, for instance, will allow you to communicate with far improved efficiency, irrespective of where in the world your journey may take you to. However, the trend, as the experts see it, is going to be toward a move away from fragmented one-trick-pony apps such as public transport map apps and the like. Task managers that allow travelers to book, sort, plan, and photograph are the future, rumor has it – and one expert has even predicted the incoming popularity of voice activated apps, in which Siri, shall we say, is able to book an entire trip with a few taps and swipes, plus a couple of voice commands. For the time being, though, here’s what we recommend in terms of excellent travel apps, suited both for local, as well as international trips. They will keep you entertained, connected, and organized and make your trips all the more pleasant and memorable. If you travel a lot, then you’re surely no stranger to the experience of searching for a free airport lounge – and you also know how frustrating it can be. In comes Priority Pass, a well-reviewed app available for free for most mobile devices, which basically aggregates a massive list of airport lounges the world over. As of the date this article was written, Priority Pass’s list included well over 600 airport lounges, which can be searched for by typing in the city or airport name. The easiest way to find a lounge is via GPS and the cool thing is that, unlike many other apps, you don’t have to depend on Internet access for this one. You can save and store the data for offline use and then updated when you’re next connected. So now you know what to do, next time you’re on a long layover and simply dying for a spot to nap, catch up on work, or simply stretch your legs as you wait for your connecting flight to depart. You can join Priority Pass for a yearly fee which gives you access to all these lounges, but most will allow you to pay for that particular visit. Airports can turn into the setting for a stressful experience, even for the most experienced traveler out there. You need to check in, look for the gate you’re departing from with terminal maps, be on the lookout for the status of your flight, and then eventually board it. So, what if you could do all of that online, off your Android or iOS-operated device? That’s what the good folks at American Airlines wondered, too, and then they came up with this app, which allows you to check out all the details of your American Airlines flight (and plenty more, too) at a glance. Swipe, tap, customize, play an built-in game of Sudoku, and even set a parking reminder. Check out the commercial for the new, iOS 7 redesigned app, then set your mind at ease. Flying American has never been easier. 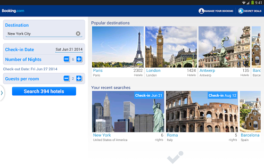 This is one of the best apps for international travel out there, for booking flights from the U.S., thanks to its impeccable Search and Compare features. Not only does it find you the best deals on both domestic and international flights, but it also comes with a great deal of added bonuses. You can share booked trips via Facebook, purchase extras, such as Wi-Fi, Priority Boarding, or Preferred Seats. The profile you create within the app is a one-stop shop for managing your trips, from rebooking to transaction status verifications, to SkyMile progress. The app also allows you to check in online at selected airports around the world, as well as to track the location of your luggage (too cool!). Other features include lounge location, picture taking for parking spots, maps for airports and public transport, flight trackers, weather information and parking reminders. It’s the kind of traveling app that makes you wonder why you would ever use any other ones. There’s no beating Booking.com in terms of planning ahead for accommodation, either locally or internationally. The website’s impressive database of properties has got over 430,000 worldwide properties stored, plus 64,000 travel destinations. It’s also customized to help you find good pricing deals, book a specific hotel, or even change your mind, plans, and stay dates. The app’s developers have also managed to smoothly transfer the site’s seamless filtering search function to mobile devices. You can find out if your hotel of choice has got a parking lot, Wi-Fi, and any other feature you simply can’t go without. You also get access to reviews by actual guests and real life pictures from the properties. You can call customer support 24/7 right from the app, check out property names and addresses in over 40 languages, and have a complete list of both your future and past bookings. Ideally, when you’re in a new town, it’s a good idea to have accommodation for the evening booked in advance. But as anyone who travels a lot can tell you, this ideal situation doesn’t always happen in real life. Sometimes, you simply find yourself out of a room to sleep in – but that’s not an issue anymore, thanks to Hotel Tonight, one of the best apps for international travel. You can search for last-minute deals from 9 a.m. until 2 a.m. with this app, which promises to negotiate the best deals on your behalf. You can book on the very same day and even choose to stay for multiple nights. The list of countries in which the app is available now includes the Argentina, Austria, Belgium, Canada, Colombia, Costa Rica, Czech Republic, Denmark, France, Germany, Greece, Hungary, Ireland, Italy, Mexico, Netherlands, Norway, Panama, Peru, Poland, Portugal, Puerto Rico, Spain, Sweden, Switzerland, United Kingdom, and all parts of the United States, and the developers promise to keep expanding it in the future. Hate packing? Good. That makes a billion of us. Packing becomes especially hectic and complicated when you’re in one day and out the next, with laundry waiting to be done and all the minutiae and paraphernalia of your daily existence waiting to be stuffed into your luggage. Luckily, packing just became easier with this app that provides customized and customizable checklists for making sure you take along everything you need. There are several preset lists included in the free version of the app: business trips, fishing trips, trips to DisneyLand, and so on. The app’s catalog includes about 300 items which you can simply add to a list with one tap, and you can also add to, or edit the catalog as you see fit. Aside from items, you can also include actions on your checklist, such as arranging for someone to pick you up, or getting your luggage weighed. Nifty, huh? And don’t forget to have at least 2 lists: one for before you leave home, but I prepare a second list for stuff I sometimes forget in hotel rooms, and before I check out, I do a final check of my list of often forgotten, or particularly valuable items. What’s the point of traveling, if not creating amazing memories, the kind that last you a lifetime? If you’re a fan of keeping travelogues, Trip Journal is just what you need. If you’re not, you might want to consider becoming a fan, after you’ve checked out this app. The award winning app, holder of the first prize within the Android Development Challenge, is one of the top travel apps for Android because it makes it incredibly easy to record, document, and share memories from your trips either directly with your loved ones, or on social media. Here’s what the app does: it helps you create an itinerary of your route, with the aid of Waypoints/Places. You can then add media notes, in the form of text entries, photos or videos to each Place. You can also track your route via GPS, if you want to Record Your Trip. The app is also integrated with all the major social networks, including YouTube, Picasa, Flickr, and Twiter. To boot, you can also share your trip on Google Earth, to keep your friends up to speed on your whereabouts. The fact that Taxi Magic’s developers call it the world’s #1 taxi app is not a stretch. It’s the naked truth. All you need to book a cab with your smartphone is this app, a credit card (registered on your device) and three taps of the screen. You can pay through your card directly and will receive the receipt via email when the fare is done. The app also allows you to track nearby cars and it’s available in quite a lot of locations: select cities in Canada, the United Kingdom, and Mexico, as well as over 60 cities across the United States, including New York. The app’s devs guarantee they only work with the best and most experienced drivers in those respective cities – and judging by the app’s reviews, they’re probably right. You will never need another weather app after you’ve used Intellicast, and that’s a promise that seasoned travelers can confirm for you time and again. It allows you to track the most severe of storms, or to simply check out the daily or 10 day forecasts, as per your needs. The visualizations of wind motion are spectacular, and if you’re traveling in North America, the app’s HD radar will allow you to be up to speed on the location of major storms at all times. The app covers more than 50,000 locations around the world and it also comes equipped with a predictive radar that will tell you whether it’s time to break out the sunscreen, or take shelter from incoming rainfall. The coverage provided is satellite-enabled and the app even promises to plot earthquakes in real time! Deciding where to eat out can turn into quite a drag, can’t it? Especially if you’re in a new place, where you can’t exactly ask people for recommendations – or are exploring the tourist area of an exciting city, but wouldn’t want to stumble into a tourist trap. 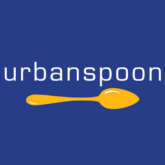 Urbanspoon makes life easier for you, if you’re traveling in the U.S., across Canada, Australia, the UK or Ireland. Simply shake your smartphone and the app will generate a list of recommended nearby restaurants. You can discover places, see what’s in your immediate vicinity, or browse through lists including la crème de la crème. You can filter your searches by neighborhood, cuisine or price range, make online reservations, compare restaurants, and base your selections on the reviews provided by bloggers, food critics, as well as simple users like yourself. Back a couple of iOS generations ago, the iOS Maps app was the laughingstock of the smartphone using population. Just about everyone knew the maps provided by Apple are unreliable and to be avoided. Of course, Apple couldn’t just allow that situation to perpetuate itself, which is why they completely redesigned the app. The results are stunning and highly recommendable. The app now includes turn-by-turn directions, interactive 3D views, a Flyover feature that can keep you entertained for hours, accurate traffic information, provided in real time, as well as a Local Search feature, with integrated business reviews from Yelp users. You can even sync your search history and save your discoveries into iCloud, so that you never miss a relevant bit of information. While some smartphone users swear by the iOS Maps app, others would never give up on Google Maps. We believe it’s useful to have both installed, for particularly complex navigation situations. Like the iOS app, this one also offers turn-by-turn GPS navigation, for driving, walking, and public transport. It estimates traffic and arrival times, displays nearby businesses and reviews for them and can even tell you if there’s a special offer in the area – like a special price for the lunch menu at a nearby café in Barcelona, during your stay there. One extra feature of Google Maps is its use of indoor maps, available for major building complexes. It also features 3D views, Street View and allows you to save frequent searches, when using the app signed in with your Google account. Also, if you’re signed in and have people in your G+ Circles, the map will point you to nearby places they’ve recommended. Ever found yourself in a new city or foreign country, with no data roaming services, no access to a Wi-Fi connection, and no map in tow? What did you do? We’re going to assume you sprung for the first city map you came across, which is often not the best map available either. Wise up, then: join the over 10 million users who’ve rightfully opted for CityMaps2Go. While we recommend the Pro (paid) version, the free one is also extremely useful when traveling, since it brings you offline maps, travel content, tips from people who’ve explored the areas you’re interested in, and recommendations for popular and interesting sights to experience. In the free version you can only choose five destinations, while the Pro one offers limitless access to thousands of places around the world. The maps even show your current position, despite the fact that they require no Internet access. 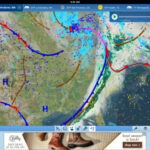 The app can be backed-up and synced across devices and it also tells you when there is a more up-to-date map available. For many large cities, they also include a Wiki-Guides. The Runtastic Pedometer PRO GPS+ app is one of the most popular fitness apps around and with good reason, given how comprehensive it is. It records every single step you take, works in your bag, on your arm or anywhere else, counts calories, calculates your speed frequency and can be set to beep every other 1,000 steps. So, what does that have to do with traveling? Quite a lot, actually, if you consider the fact that people tend to walk more when they’re away on a trip, than they do at home. The cool thing is that you can also use it with your iPhone, for a morning jog even when away on a voyage. All in all, it’s a niftily designed handy little tool for keeping fit while away, which is likely to encourage you to explore new, exciting destinations on foot. Hotel booking confirmations, online plane tickets, and a whole lot of other documents (including job documents, too) come in .pdf format these days. Now, if you own an iPhone or iPad, this can cause some problems – unless, of course, you get the Adobe Reader app installed. This free, lightweight app makes it possible to quickly open .pdfs from your mail address or from around the web, search documents, annotate them, zoom in or out, read in the dark in Night Mode, or read longer passages with Brightness Lock. The app allows you to save documents in this format with any app that supports the ‘Open In…’ function and also defines words for you, with the enabled iOS Dictionary feature. Basically, this app will work as your on-the-go office, since with it you can create, export, store, and open .pdf files. You can also make several in-app subscription purchases, like the Adobe ExportPDF, $2/month for converting PDF’s to Work or Excel files; or the Adobe PDF Pack, $9.99/month which goes the other way, converting Office or image files to PDF. As it stands, however, the free version is perfect for doing some light reading, as well as for keeping up with menial work tasks, such as report reading. I use it for smartphone storage of documents I find on my computer, when printing the document I select Save as PDF, then take that document and add it to my phone PDF’s. I can create an itinerary for the day, detail on points of interest, copies of hotel reservations, etc., etc. When you’re abroad and missing your friends and family, who’re you going to call? With the Skype App, the answer to that question can be “anybody, anywhere”. That’s because the same Skype you use on your computer can be used on your phone with WiFi to make affordable calls long distance, no matter where they are. You don’t need to pay as much as a dime – all you need is a Wi-Fi connection (see below, if you don’t have a WiFi connection). Your Skype account on your computer is the same as the one on your phone. So Skype-to-Skype calls are free. But you can also use it to call your grandmother on her landline from anywhere for very small costs (depending on where your grandmother lives, calls start around $.02/minute into the US going all the way up to $1.44/minute to East Timor, but most places are less than $.10/minute. Back at home, you know your favorite haunts and their Wi-Fi network passwords. But when you’re out on the road, getting Wi-Fi access can turn into a complicated chore. That is, of course, if you don’t have Skype WiFi installed. This little app will literally save you money on data roaming, by locating and enabling you to connect to over 2 million WiFi hotspots online. You can connect at hotels, airports, bars, train stations and anywhere else. You connect in one tap and only pay per minute, for the time you spend connected – not for the amount of data you download or upload. All you need is a mobile device and a Skype username and password, as well as Skype Credit to pay for the online time. The app will also only allow you to spend 30 minutes per session online (and reconnect if you want to), so you don’t end up spending far too much time online, without even realizing it. What’s so cool about the iOS Compass, you ask? Quite a lot – provided you’re running the latest version of the OS, the iOS 7. The app has been massively redesigned and now looks and feels quite awesome. The compass can still be customized to point to the true north or the magnetic north, as it did in the iOS 6. It now comes with geolocation integration, which means the compass reading always shows your current city and state, plus the full coordinates. You can effectively never get lost with this app, no matter what remote corners of the world you’re wandering across – provided, of course, you have GPS access. You can set a bearing to follow and you can play at will with the compass recalibration tool, which is actually quite fun. As an added bonus, iOS7 users also get access to a level tool that can tell you when you achieve perfect level – particularly useful after you have had too much to drink. Oh, come on – how can the built-in Clock app for the iOS be that good for traveling? Right? Wrong. In fact, we’re willing to bet there are plenty of things you didn’t know you Clock app can do. For instance, adding a city to the World Clock section is achieved by simply tapping the + in the upper right corner of the screen. The number of supported cities is limited, but since all you need is the time zone, you can safely use a closer big city or the country you’re in. The Alarm section is also amazingly customizable: you can set one Alarm for certain days and another one for others, which makes it easy for you to set it. you don’t have to remember to do this every night. You can also disable the Snooze function and label your alarms individually. You can also set the Timer to lull you to sleep with your music of choice and switch between digital and analog times with one tap of the screen in World Clock. And with a variety of sounds to use for each alarm, you can be gentle or use the Bell Tower to get you up at 4am to make that 7am flight. We’re also willing to wager that you don’t know how handy the iOS’s in-built Notes app can be when traveling. Also, we’re pretty sure you don’t know that you can customize and tweak this otherwise very simple text editor. Of course, you can always choose to use a more complex app like Evernote, but, for most text editing purposes on the go, the iOS Notes will do more than fine, and free. Here’s how to tweak the app. In the Settings menu of your mobile Apple device you can choose between three fonts and you can also change the display size of the font face. But the absolute best way to use the iOS Notes when traveling is reserved for those who also own a Mac desktop or laptop. That’s because the iCloud allows you to sync notes across devices, making your on-the-go jottings and travelogue far more easily available than before. Bonus: if you own a Mac and can zoom into the app’s icon, you will notice there’s a bit of an in-joke on display there. The hand-written scribbling on the manila-like background is a tribute to the old and iconic Apple TV add (“Here’s to the crazy ones. The misfits. The rebels(…)”. 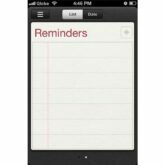 If your time as a Mac device user spans back to before the iOS 5, you might not be fully aware of all the useful functions of the Reminders app. Sure, no one’s stopping you from using a more complex task management utility app from the App Store. However, if you travel a lot and want a simple, readily available tool to help you with lists and reminders on the go (that integrates with Siri), then the iOS Reminders is perfect. The app comes with simple functions like list-making for packing or shopping, as well as with lists for tasks, which you can check off when done. But by far the coolest feature is the scheduled, time and/or location based reminders. With their aid, your phone can effectively tell you to call a person in your phone’s Contacts list at any given time, or even at a certain place. You can even have Siri speaking at you with that information. And you can also sync reminders across devices with the iCloud, which is great for those of you travelers whose lives tend to get a bit hectic while out on the road. There is an absolute plethora of photo editing, storing, organizing, and sharing apps out there on the App Store. However, the iPhoto is also a pretty serious contender for the title of Best Photo App to use when traveling. Not only is the interface gorgeously designed, but the entire user experience is straightforward and streamlined. It’s also integrated with sharing functions, either via email or social media, and the app’s editing capabilities are comparable to those of some of the best other similar apps out there. 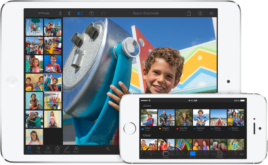 It’s a particularly good idea to use iPhotos for organizing your image collections when traveling, since this Apple-developed app takes full advantage of the iOS’s computing capabilities, making it faster than other similar apps. You can Favorite photos, search through your collections, or even print souvenirs from your journeys for family and friends. Whatever happened to sending wonderful, memories-filled postcards to your loved ones back home from your travels? Well, smartphones and the Internet happened: nowadays, people would rather upload their visual keepsakes to their Facebook, Twitter, or Instagram accounts, rather than take the time and trouble to mail them via snail mail. However, if you’re a nostalgic, who believes there’s nothing quite like receiving a personal, printed postcard, or more to the point, you have a grandmother that won’t touch electronic devices, then postagram is the app and service for you. It will print and mail images from your iPhone, Android smartphone, Facebook or Dropbox accounts to anyone in the world. It costs $.99 to send one in the U.S. (and $1.99 outside the U.S.) and the first five ones are free. You can personalize them as much as you want – they will reach their destination in 2-5 business days locally and up to 2-3 weeks internationally. The developing company also offers a money back guarantee to clients whose postcards get lost or damaged in the mail. If you’re the outdoorsy type, who also likes to take pictures, then you’ve definitely had to deal with that situation, in which you’re overcome by the natural beauty of a particular landscape and would like to take it all in and photograph it panoramically. However, almost in spite of all the improvements for panoramic picture taking that both Apple and Android have made, taking panoramic pictures still isn’t all that easy. Luckily, there’s Pano, an app that can help you capture beautiful panoramas through a very simple process. The interface is simple, easy to learn, and the finished results are nothing short of amazing. The final resolution of the image, as photographed with an iPhone, stands at a whopping 24 megapixels (14994 x 1632). You can even take 360-degree panoramas, with up to 16 photos lined up. The app also comes with alignment, blending and color correction algorithms that make your final photos absolutely seamless. And now it is super simple to post your Pano to Facebook or Twitter, all from within the app. Photos? Forget all about photos – they’re just dull, still images. What if you could create a dynamic, interactive fun memento of your trip in video format? Wouldn’t that be something? What if you could customize it with text, animations, overlays, and music? That’s exactly what Ptch does and it also includes several styles for the final video. Ptch is available for iOS 5 and above devices and, while the developers had planned to bring an Android version to the market as well, they eventually abandoned that plan as they were acquired by Yahoo in late 2013. The short videos created with this app can either be made private or shared publicly on social media. Given the impressive number of great TV shows these days, it’s not that much of a stretch to think of someone going abroad and then missing their favorite shows there. Luckily, Verizon’s FiOS Mobile app allows you to watch any sort of broadcast content from anywhere around the globe. The app allows you to access both free and Subscription On Demand Content and its already impressive catalog of movies and TV shows is being constantly updated. What you need is an FiOS TV subscription and FiOS Internet service at home, in order to watch select live channels. You can also remotely manage DVR recordings, schedule new ones and check to see if previous recordings cleared. Got a Kinde? Great. Don’t have one? That’s ok, you can still use the Kindle app off your Android or iOS mobile device. The app brings all the functions of the device to your iPhone, iPad, or other brand of smartphone or tablet (or laptop). The interface looks great, it’s easy to use, and the app also grants you access to the Kindle Store, complete with its catalog of 1,000,000 titles. You can also automatically sync the last page you read, your bookmarks, notes, and highlights across all the devices you use. In other words, you can alternatively use your smartphone and Kindle, if you’re so inclined. There are also plenty of perks to using the Kindle app, such as special offers, exclusive titles, free book samples, and the Kindle X-Ray feature, which tells you all you need to know about a particular book. Kindle also makes it easy to look up words in its reference sources, as well as to organize and categorize your books, documents, and magazines. If audio books are more your thing, then Audible is your top choice of app for listening to great works of fiction and/or non-fiction while traveling. The app’s store includes well over 150,000 titles which you can download to your portable player, smartphone or tablet. Listen to them while waiting to board your flight or train, transfer books over Wi-Fi, navigate from chapter to chapter, bookmark the book, set your device to sleep mode, play with the narration speed, and multitask on your device while you listen. The app also has a gamification component, which allows you to track your audiobook progress and earn badges while you evolve. You can also share your Audible activities on social media and tune in for the Newsfeed from the app’s developers, with inside info on author events and new books. The infographic below dates back to 2012, when in-app purchases for travel (as well as for other purposes, too) were relatively rare. Only 3 per cent of all accommodation bookings were made through apps, for instance. However, the Internet was already a big factor in determining people to travel: 85 per cent of travelers considered it their main source of information for planning, while 25 per cent had decided to travel following an unexpected email. 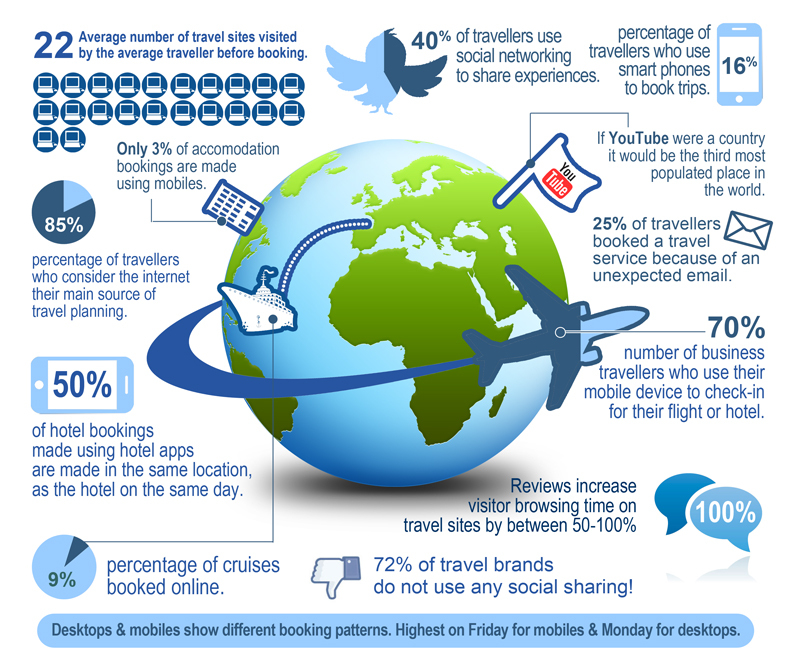 16 per cent of travelers booked their trips from their smartphones, while a significantly bigger percentage (40 per cent) used social media for sharing. Unclear as future trends always are, one thing is for sure: mobile apps are not about to go off the radar any time soon, where traveling is concerned. That’s because they take the emotionally charged experience of traveling and render it all the more efficient and socially oriented.